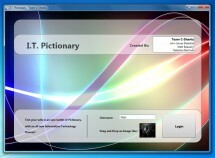 I created this while attending Carleton University as a Flash Animation project. 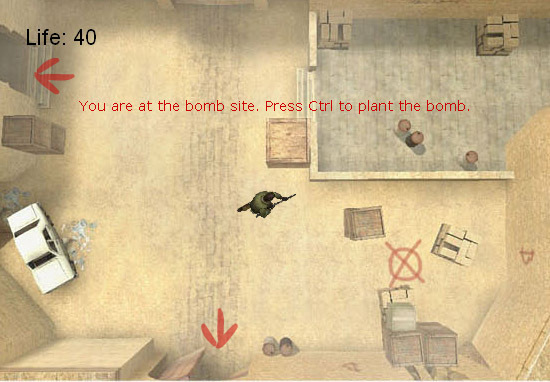 It is inspired by the FPS game Counter-Strike but adapted to a simple top view flash game. The graphics were created using actual screen shots from the game Counter-Strike by Valve. 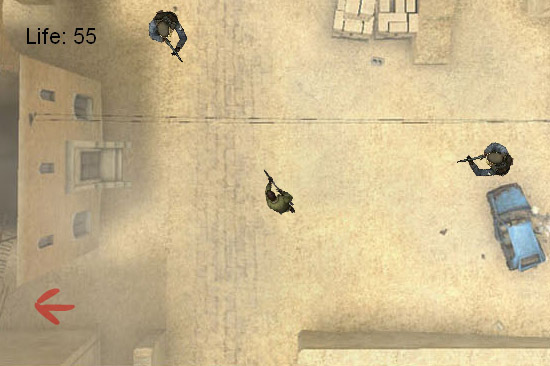 The gameplay was programmed and animated using Actionscript 2.0 in Adobe Flash. One of the biggest challenges was programming everything to be animated relative to the map and not the flash stage. This is because it is not the character that moves during gameplay. 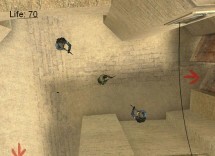 The character always remains in the center of the screen and it is the map that is rotated and translated as the game is played. 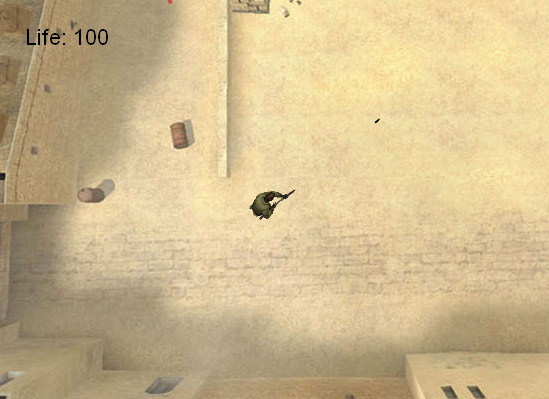 This entry was posted on Monday, April 12th, 2010 at 1:33 pm	and is filed under Flash, Games, Programming. You can follow any responses to this entry through the RSS 2.0 feed. You can leave a response, or trackback from your own site.